I’m 53, and as an adolescent I was given through the rock press a particular narrative of the transition from 1950s “rock and roll” to the music of the 1960s. It tended to involve a notion that 50s pop had become moribund and sappy, and that The Beatles, The Stones and Dylan burned that all down and made it irrelevant (I’m boiling down many books into one sentence, obviously I’m simplifying drastically). There is an emphasis on studio experimentation by The Beatles, and a caricature of 50s pop as being largely simplistic, with routine chord progressions and limited palette. I’d like to poke at some of this a bit. When I Iook at a list of the top 200 songs of the 1950s, the first thing I notice is how many of them are either lounge jazz or country. The second thing I notice is that doo-wop and “rock and roll” make up significantly less than half of the list. There are also a lot of blues and jazz-blues numbers from people like Sarah Vaughan, Ray Charles and Elmore James. So one thing to say about the 50s is that it was a highly diverse time of transition, not a one-trick pony or a morass of cheesy teen idols. Studio experimentation was central to much 1950s pop. Finding a fresh sound was paramount. The well-funded masters like Sam Phillips created networks of rooms wired to serve as reverb chambers. Many others behaved like mad scientists, such as the producers of “The Big Hurt” by Toni Fisher, who plastered the entire mix with a flanging effect (think the middle section of “Black Water” byThe Doobie Brothers, which is phase-shifted to similar effect). Speaking of “The Big Hurt,” that hit gives the lie to the idea that 50s songs relied on boring progressions. The second chord in the song, in a sequence that is repeated, is a very striking flat two major chord (Db in the key of C). The whole song is kind of garish and definitely adventurous. Other examples of harmonic creativity in 50s songs are too many to mention, but I’ll throw in the middle section of “Every Day” by Buddy Holly, which uses a modulation and return very similar to things that happened in some early Beatles songs. “Cathy’s Clown” by The Everly Brothers, I would argue, has almost all the elements of some great early Beatles singles. The drum part is certainly as inventive and new as “Ticket to Ride” was at its time. The vocals use a trick identical to that in “Please Please Me,” wherein one singer stays on a note over multiple syllables while the other descends. The lyric presents a clever and very specific point of view about being cheated on, and reminds me of “Not a Second Time” by Lennon, only better. Listen to “The Sky Is Crying” by Elmore James, and then imagine Jimi Hendrix playing lead over it. Tell me it doesn’t have every aspect of Hendrix’s blues numbers except the lead guitar and the LSD. What was truly new about 60s rock? I suggest four areas: 1. Bands that wrote their own material exclusively, and took a more assertive role in the studio. 2. The rise of highly distorted guitar tracks. 3. Much more use of multi-tracking and lots of overdubs and layers. 4. Perhaps most importantly, a drastic expansion of lyrical content and narrative style. What’s your take? Let me know here or on our Facebook page. 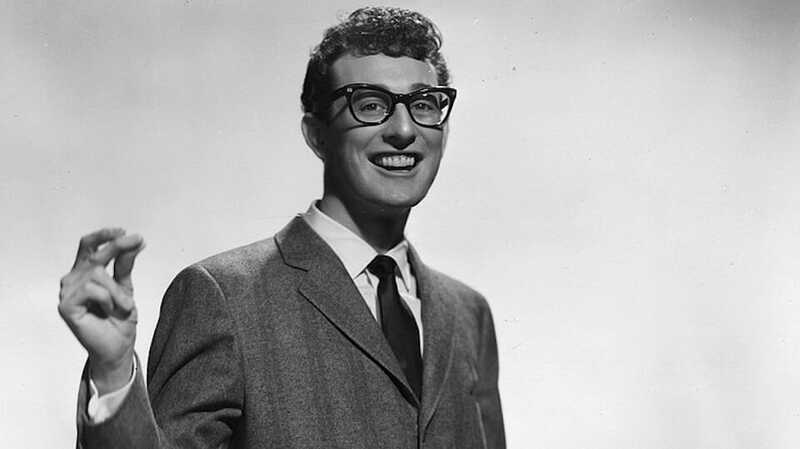 Photo Credit: Public Domain image of Buddy Holly.